- SLEIPNER > Widéns, Sunne. SILWEX > SLEIPNER > Widéns, Sunne. ^ back to SLEIPNER in reg. FRYKEN > Sunne sportaffär S. Widén. 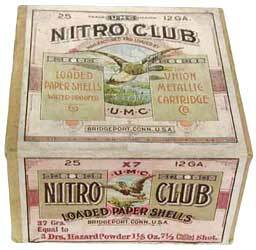 Union Metallic Cartridge Co., CLUB, 12ga., CHRISTMAS BOX!!! 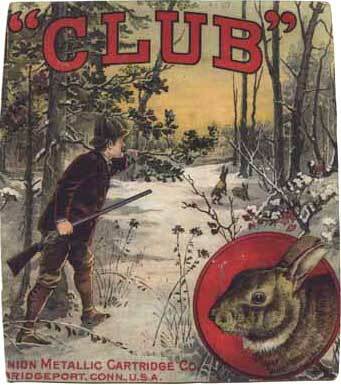 TOP ONLY, this absolutely beautiful top pictures hunter in snow scene after Rabbits with a large Rabbit on bottom right, the sides are gone but the top is near perfect. This would still look very nice in any collection framed. blue, yellow & red box with mallard duck flying, box is very solid with some age soiling. 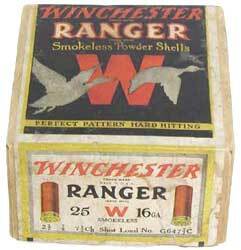 Cartridge box 1130. Federal Cart. 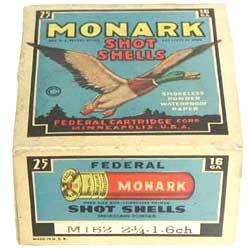 Co., Monark, 12ga., 2pc., Empty & Sealed, shot size 9. Loading: M122 3 -- 1 1/4 -- 9 ch. New Old Stock Label, Buff box with white, yellow, red and blue label that pictures trap shooter in a red sweater & a yellow background, box shows very light soiling. Box is of solid construction and bright colors, Very hard to find box in comparable condition. 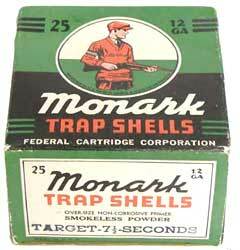 Cartridge box 1131. Federal Cart. 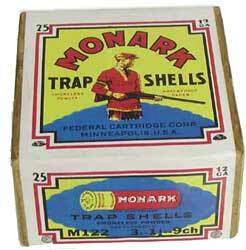 Co., Monark, Trap Shells, 12ga., 1pc., Empty, Loading : TARGET - 7 1/2 SECONDS. Green, black, red and white box with trap shooter in red sweater, solid construction with great colors.